The Square Enix action role-playing s game, Deus Ex: Mankind Divided, can be somewhat tricky, which is why we want to support you with some useful tips and guide in some areas. Health and energy are the two bars that you have to always keep in mind. With energy you can use your special skills that you will need throughout the game. These ensure that you can create serious obstacles or pass through clouds of poison without dying. Here is our Beginner's Guide with some tips that will help you to keep these two bars under control. - Bottom left of the screen you the bar for energy appears. Sets a their augmentations, this energy is consumed. The wide part of this bar is always crowded on by itself, so you always have a little energy. The rest you have to recharge with bio cells, which finds her scattered everywhere. - The health bar appears bottom right of the screen. This regenerates with time also in large part again, but it may take a long time. To speed up this time, you can use the ability "Defibrillator" (to be found in the torso in the skill tree). - To have a higher standard health value, you should unlock the three stages of "angiogenesis" (to be found in the torso in the skill tree). If you play more aggressively, then it will be very useful to you. - Take a medication, so you can regenerate your health immediately. If you know that you will get all that much damage on the next attack, then you can take precautionary medication. Thereby your health is briefly increased above the default. 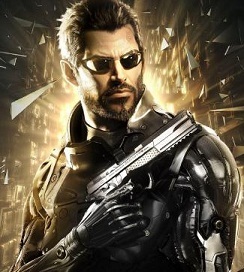 Hacking is still a big issue in the latest adventures of Adam Jensen. Compare to its predecessor, it was a little overworked, but basically works very similarly. 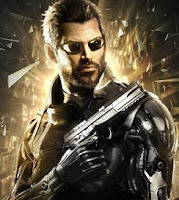 If you have played any of the previous Deus Ex games, then these tips and tricks will help you to get started with the hacking. - When hacking it comes to take the registries (green balls). Look at the nodes on the way to the registries. If you have a high security level, it takes longer to take it and it is more likely that you will be discovered. Select the path of least resistance. - To make hacking easier, you can unlock all four stages of "hacking / Apply" (found under the skull). In this way, it will take longer before you discover the enemy's security systems. - You can enhance occupied nodes by clicking on them and this option you can select in the menu. By "hacking amplify" (found under the skull) can increase this protection. Thereby it prevents access to your I / O port (blue ball) and also cannot be thrown out so fast. Actually, it is not so difficult. Give me a gun, ammunition and tell me which key should I press to recharge. Sure, so you can also play Deux Ex: Mankind Divided without any help, but we recommend you to test the quieter option. Especially because you have supportive skills for all. Overall, there are two ways to deal with your enemies and opponents. This of course depends on your playing style and partly to the necessary resources. The following tips show you what you should consider in this case. - You have the ability to easily shoot your opponents or to use grenades. These options are noisy and can attract more enemies. It may happen that you will see a horde of killers contrary. - However, the complete elimination assures you, that your enemy is dead and you can not be dangerous. With "Cybernetic arms" (found in arms) can also strengthen your weapons attacks. - Teams can generally be turned off softly and yet completely. The choice will be displayed to you when you stand near an opponent. - You can also hold the neck of your enemies and knock them out quietly. You neutralized your enemies by dragging them out. However, it is possible that they will be awakened again. - Breaking operations are only possible when the energy limit is full and they also consume energy. If you want to play Deus Ex: Mankind Divided in this way, you should use the "energy converter" (found in torso) optimize your energy and energy bar on it. If the answer to your question is not listed above? Below, we include additional general tips and tricks for getting started in Deus Ex: Mankind Divided. - Don’t spend too much time in planning your approach, because some optional objectives depend on how quickly you start your mission. So it may be that you cannot protect a target person, or that he escapes you. - Look at your surroundings well. Sometimes behind cupboards you’ll find doors or walls, which you can open and thus gain access to valuable objects. Push the cabinets and other obstacles easily aside. - I you don’t need an augmentation, then don’t forget to disable it again. Otherwise it will consume unnecessary energy. - Use the tutorial mode at the beginning of the game to test your approach in different ways. - The people in this world are afraid of Optimists and don’t like to see. Step into their premises, from which you want to chase the civilians, then take their threats seriously, because they attack you if you don’t listen to them. - Speak to all NPCs you meet, so you can be sure that you will also trigger the side quests.